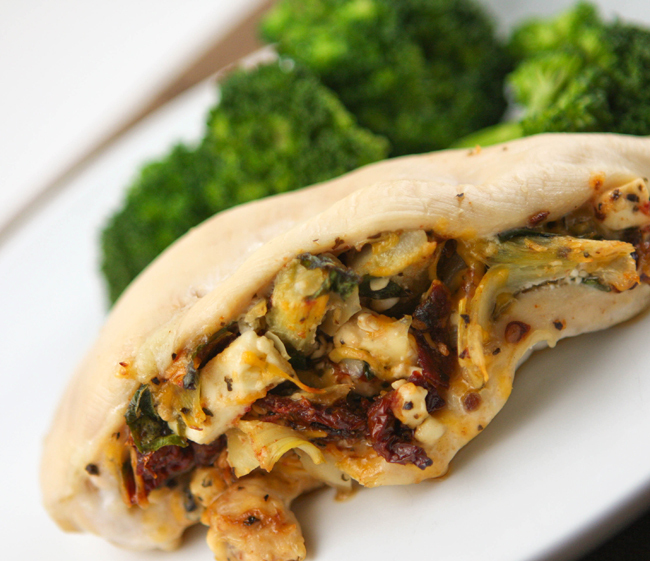 Artichoke and Sun-Dried Tomato Stuffed Chicken Breasts Recipe — Pip and Ebby - easy, delicious recipes! This is the perfect, most delicious weeknight dinner! Sun-dried tomatoes and artichokes are two of my most favorite things. 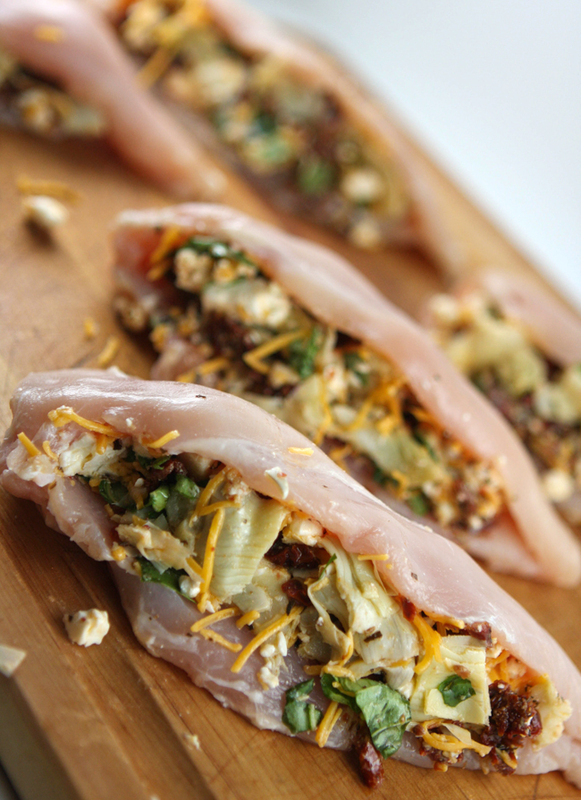 Mixed in with some fresh basil, feta and cheddar cheeses, this Artichoke and Sun-Dried Tomato Stuffed Chicken Breasts recipe is packed out in flavor! This is a great no-carb dinner option that will leave you full and satisfied. I have felt mildly to moderately insane over the past few days. Dan has been immersed in a skydiving course, so the little boys and I have been flying solo. 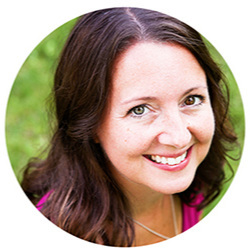 I try not to speak of bodily fluids too much on my food blog, but I will just say we have had our share of bodily-fluid-related incidents, as well as our share of meltdowns, tantrums and outbursts. Weee! Fun times! People keep telling me that one day I will miss this crazy time in our lives, so I do my best to absorb every bit of it. Even when it gets crazier than I ever could have imagined life to be. One of the things that always keeps me feeling sane is cooking and baking! I was happy when a friend asked if I had any stuffed chicken breast recipes on my blog because I did not! I was more than happy to come up with a few options for her. Here is my first attempt. Another will follow in the next few days. Enjoy this one! I will definitely make it again. Preaheat your oven to 350 degrees F. Coat two 9x13-inch baking dishes with cooking spray and set aside. In each of 10 defrosted chicken breast halves (I made a huge batch, so cut back, as needed), cut a slit horizontally into the breast without going all the way through to the other side. Chop an 8-oz. jar of julienne sun-ripened dried tomatoes. Drain and chop a 13.75-oz. can of artichoke hearts. Chop fresh basil to equal a 1/2 cup. Divide the mixture between the 10 chicken breast halves and spoon into the openings. Seal the ends as best as possible and secure with 2 toothpicks each. Divide the chicken between the 2 prepared baking dishes and bake in the preheated oven for 30-35 minutes, or until the chicken is cooked through. Remove the toothpicks and serve warm. Artichokes and sun-dried tomatoes are two of my favorites things. This is the perfect, most delicious weeknight dinner! Preheat oven to 350 degrees F. Coat 2 9x13-inch baking dishes with cooking spray and set aside. In each of the chicken breasts, cut a slit horizontally without going all the way through to the other side. 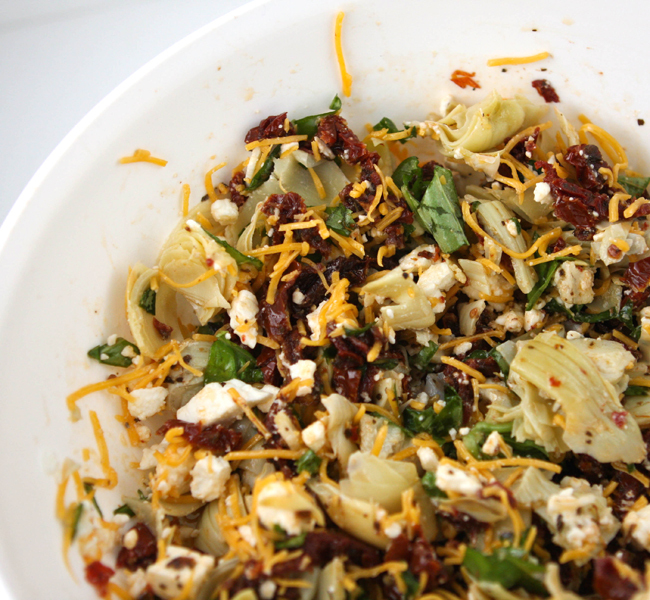 In a medium bowl, combine tomatoes, artichokes, basil, feta cheese and cheddar cheese. Mix well. Divide the mixture between the 10 chicken breast halves and spoon into openings. Seal the ends and secure with toothpicks. Divide the chicken between the 2 prepared baking dishes and bake in the preheated oven for 30-35 minutes, or until chicken is cooked through. Remove toothpicks and serve warm.